The Kardashian name seems to bring ‘Pomp and Circumstance’ to even the tried and true and with PRP this is not different. Thank goodness for these beautiful women and their endeavor to maintain, because let’s be honest. We are all listening, aren’t we? If you are an avid beauty aficionado like me then you are always looking for the latest and greatest in anti-aging and trying to validate whether or not its hype or the real deal. Well PRP is not only the real deal, it might very well be the fountain of youth. The Platelet Rich Plasma that is injected is a concentrated formula of your own platelets which makes it rich in growth factors. Such growth factors are needed to repair the body and come in handy too when trying to fight the signs of ageing. When you come for a PRP treatment we will take some blood from you – imagine going for a beauty blood test – then that blood is processed using a mechanical device known as a centrifuge to separate the platelets from the rest of the blood making the concentration of platelets three to four times the normal level. The processing part of the treatment doesn’t take long – on average 15 minutes, as the different elements are divided – red blood cells, white blood cells, platelets etc., then the clear platelet rich plasma is ready to inject back in the places that need the most attention. i.e. face, under eyes and neck. The Platelets can be re-injected manually, spread post a micro-needling treatment or injected with a Intro-dermal injection device. How your specific treatment should be done can be discussed during your consultation. 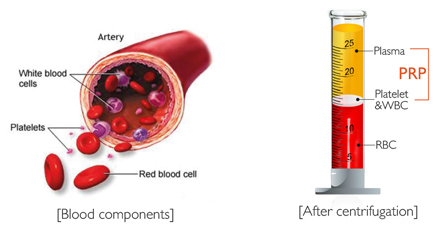 If we already have blood in our bodies, you might ask what is the benefit of re-injecting it? It could all be rather pointless – if it wasn’t for the fact that processing the blood increases the levels of platelets far beyond their normal concentration to boost the skin’s ability to rejuvenate. When platelets are activated in the body, they release healing proteins called growth factors. These growth factors have a range of responsibilities, a predominant feature of which is their ability to accelerate tissue repair and improve wound healing. When PRP is injected into the skin, the injection entry point causes a small wound which activates the platelets and lets them get to work repairing the tissue in that area. Thus, rebuilding new connective tissue or strength and stretch in the skin. This will help foundationally to repair fine-lines and wrinkles while also rebuilding the tissue we are losing. Effectively PRP is encouraging your body to use its own processes but more effectively in the places that are starting to need a bit of extra help. Your skin will positively glow post procedurally but the process can take 3-4 months to show the long-term benefits. 3-4 treatments at 1 month intervals are recommended and then a maintenance plan can be discussed. Sounds a bit scary I know but to do it is to see that this treatment is anything but, with all the foundational aspects of your perfect anti-aging procedure. No downtime, comfortable and rewarding. This treatment is for virtually anyone. If you have any more questions that I haven’t addressed, hit me up! I would love to help. Skin health tips using the H.E.A.R.T. Acronym: I always say ‘Love your Skin’ and your H.E.A.R.T can be a quick reminder how. Hydration – Healthy skin starts with Hydration. When dehydrated, the body preserves the water supply to critical organs, such as the brain and the heart, but “cuts off water” to peripheral organs such as skin. Therefore, keeping the body well hydrated is an important part of keeping your skin well moisturized. Exfoliation – Slough off dead skin cells and increase the cell turnover, stimulating the skin to increase collagen production thus smoothing wrinkles as well as improving overall texture of the skin. Also increases the absorption rate of other topically applied products. Antioxidant – Slow the signs of aging, lightening the look of brown spots while enhancing skin renewal, resulting in an overall improvement in radiance. Retinol – Accelerate cellular turnover and generate new cells and produce more collagen. Make older cells rise to the surface and exfoliate. As new skin cells emerge, skin appears younger, healthier, more even-toned and radiant. Some quick tips to keep your beautiful skin at its best 365 days of the year. Aging is nature, but nurture definitely has a lot to do with how our age shows. It seems the more I learn the less I realize I know. Beauty is the ever evolving interest in my life. Once upon a time we thought that the sun made us beautiful, today we know that exposure is the absolute worst thing we can do to our skin from an anti-aging stand point. Sunscreen is a must, but then there’s the conversation of chemicals and para-bans…yada yada yada. How do we know what is right? Or the better question may be; What is right for you? We know that sun exposure deposits free radical to the skin, slowing down the cells reproduction by 50% at least! Can you imagine that sun exposure, technically means speeding up the aging process by 50%. Who would want to do that knowingly? Not me! So with the pro’s and con’s taken into consideration, limiting your sun exposure for beauty and health reasons seems like the reasonable thing to do for all of us and if we must be exposed then we should opt to wear our sunscreen. With so many options for sun protection available there must be one that would suit your needs. I love the Colorscience all clear mineral powder. It means no grease and easy reapplication. I like simplicity so this is one that works well for me. I guess the message here is knowing what your doing and why. If you choose the sun and you understand the ramifications then own your choice. If you didn’t totally know the extent of the damage you were doing then maybe it’s time to investigate. From where I sit my livelihood is generally made from sun worshipers, so to suggest a different path may not be the best for my personal cause, but my acumen is teach when I can and fix when I can’t. If this has opened the door for more of the fixes than the preventions you can always send your queries my way and I am always happy to help. Knowledge is power and prevention is key so find what works for you and appreciate the beauty god gave you, while you have it! It has been an incredibly long time since I have shared a post, business or personal. To say that I have been overwhelmed with life in general would be a slight but accurate statement. I cannot remember where I left off on the personal front but here is the last year and a half in a nut shell! June 15th 2011 we moved homes (hellish) and July 15th of the same year we welcomes our newest additions to our family (twins!) Cole and Chloe Solomon! Yes you heard me correctly TWINS! For those of you playing catch up 2+2 makes 4! I never in my wildest dreams imagined that I would ever be a mother of 4, but here I am. So a recap, new home, new babies and of course Thornhill Skin Clinic is still growing and moving with the times. The twins arrived healthy but early so it was 5 weeks of back and forth to the NICU at Sunnybrook. What an amazing facility. We were so lucky to have our little ones cared for there. (kind of like a 5 star hotel for babies!). Then the even larger shock of bringing them home. I don’t know if anyone is ever prepared for 2 babies at once, but it was definitely some kind of adjustment. Luckily we had lots of help and this last 14 months has been a joy. Our 3 year old daughter Noa started pre-school in September and is growing up much faster than we would like. Our soon to be 18 year old daughter Tori, has left the nest to attend University (sniff sniff). Now that was a transition that no one warned me about. So hard to see her pack her things and move out but I am so excited for the next steps she is taking into finding her way in the world. We are so proud and honored that she is our daughter. Throughout all of this I have been working and managing my first baby, TSC. Things here have been incredible. The innovations in Anti-aging, beauty and skin care never seem to stop coming! 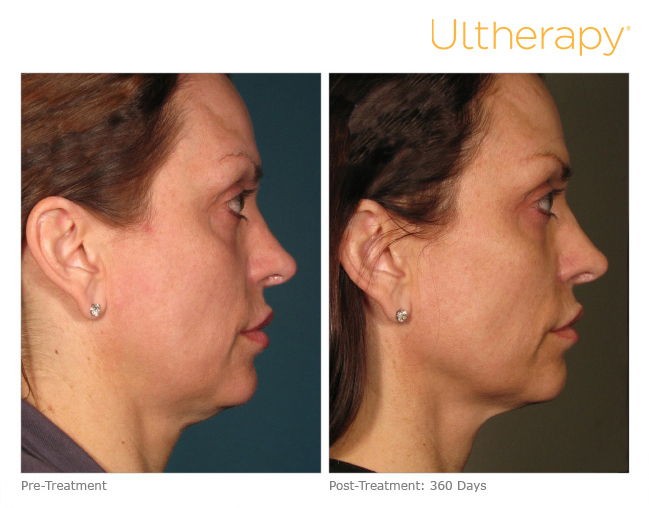 From PRP to Ulthera, Pain Free Laser Hair Removal and new Chemical peels that defy what we have been able to achieve previously. I know I am in the right business as my vanity eats up the options without reserve! I myself submitted to the PRP skin rejuvenation a few weeks ago and I cannot believe the results so far! We are not providing the treatment in clinic just yet, but I will soon to be announcing an event where you can learn all about this remarkable service and how it can help your aging process! Believe me it is not to be missed! The world of Botox and volume fillers is also continually evolving with new techniques that can improve the out come with little to no downtime. I myself don’t know what I would do without Botox. It means that I get to look how I feel and to me this is a gift! People are constantly asking me how I look so well rested with 4 kids…honestly without Botox I think I would be a disaster, lol. It’s the gift that just keeps on giving. Not to say that it overtakes the need to take good care of your skin, because that is where it all begins, so a good combination of skin care and Botox can help all of us defy the effects of aging and life in general. We have a few new additions to the TSC team as well! Welcome Mila and Michelle to the team. Mila is our new customer Service Liason and Michelle is our new Senior Para-medical Aesthetican. Please come by and meet our new team members. They are looking forward to being of service to you in whatever ways you may need. I guess that is the gist with many details missed, but I don’t want to bore you. I am commited to keeping you all more updated with the new treatments and anti-aging options available and I will of course share the tidbits of my growing family. For those of you I haven’t been personally in touch with as much I am back! So it’s business as usual and we are better than ever! I know we have been so busy with our Satellite event dates that our Thornhill friends have been feeling neglected! 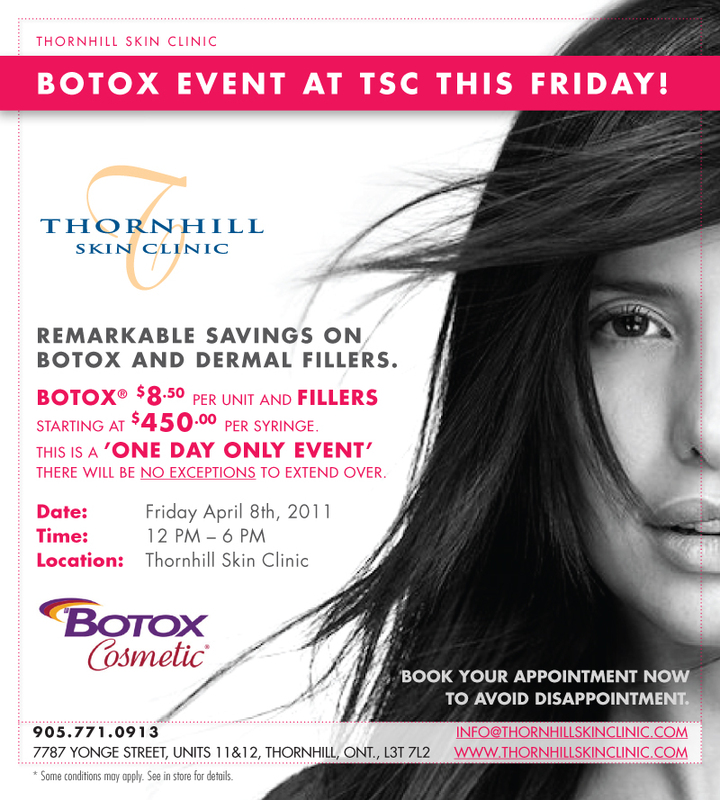 So in honor of our loyal followers we are having an event this Friday April 8th in Thornhill. Botox $8.50/unit and fillers starting at $450.00/ syringe. A little add on for our Thornhill ambassadors..if you bring a friend we will give you an additional $50.00 off your services. We are booking up fast as this event is long over due so if you can’t make it or we can’t fit you in you are welcome to pre-buy your Botox or fillers for use at a more convenient time! I hope this will help to accommodate everyone. If you have any questions please don’t hesitate to contact us. After all we are here to serve you. 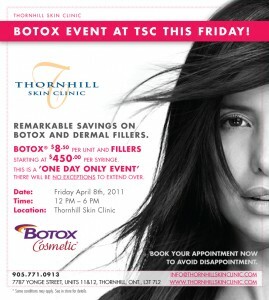 Take advantage of our fountain of youth and get yourself spruced up for Spring at Thornhill Skin Clinic. Injectable fillers and Botox Events coming to your neighborhood! In this ever growing world of beauty and non-invasive procedures we are always hard pressed to figure out what is good, safe, effective and most importantly, what is right for us!!! It seems to me that this cosmetic world has become one of high pressure sales and less about it’s original purpose. Helping people feel good about their individual aging process. I know business is business and we all have to make a living, but I for one am here just as much for the love of the game. There is nothing I like more than when I have made a difference. When I get that call or e-mail, thanking me for my time and service. Knowing that I have made an impact makes this job not just lucrative but doubly rewarding. Unfortunately for many the costs and options can sometimes get in the way of good decisions or the right solutions. I am going to try and change that. As we all know great change comes with great challenge so I’m not expecting this to achieve its end point over night. But I will not stop until I do. My first efforts to create change are in the way of Satellite injectable events. Essentially Thornhill Skin Clinic has partnered with small medical clinics all over the GTA and we will be bringing our doctors, our staff and most importantly our service, skill and reputation to a neighborhood near you. The purpose? To allow you the opportunity to make good choices under proper, skilled supervision. These clinics offer you choice..you will not be sold. We are here to help you figure out what you need (if anything at all) to make yourself Look as Young as You Feel. We will also be offering the opportunity to try these treatments at unbeliveable prices. Prices that will hopefully make this not only more affordable but easier to get exactly what you need as opposed to what you can. Thornhill Skin Clinic has been in business for 16 years and is dedicated to bringing you the best safety, service and results available. Your injections will be done by a doctor, your needs will be met and your service will never be compromised. This is our promise to you. Botox will be $8.00/unit and Restylane will be $385.00/syringe. It must be injected the day of the event as we won’t hold product. You may book at any of the locations and it will always be the same staff servicing you. You will have a proper consultation before any service is offered and if a follow up is needed you are always welcome at our beautiful Thornhill location. For some of you this might be a bit of a travel, but I assure it will always be worth it. If you would like to speak to someone personally we invite you to call the clinic at: 905-771-0913. We look forward to hearing from you and being of assistance in any way we can. Here’s to being young, beautiful and still having money in the bank. You need more. I’m mean, I know. I also know you’ve been told to drink more water before, and likely you’ve ignored it altogether. After all, if you’re reading this then you’re still alive, despite not following that advice, but if you are not drinking enough water each day, your health is not thriving, but merely surviving. Water makes up roughly 60% of your body’s total weight. Every system and function in your body depends on water to carry nutrients into cells and flush toxins out of them. When not enough water is present in your body, you fall into a state of dehydration, and none of your systems function how they are supposed to. Your body can be in a state of dehydration before you even feel that you are thirsty. Other outward signs of dehydration can include fatigue, headache and mental fogginess, yet before these signs of significant dehydration show up, you’ve already hampered all of the essential functions within your body. The ability of your liver and kidneys to detoxify your body and eliminate toxins and waste depend on adequate water levels in your body. The ability of muscles to contract and relax so you can physically move properly or even sit up straight without discomfort depend on your muscle cells having adequate water levels. 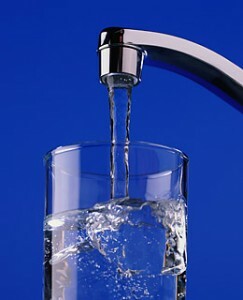 Even metabolism and fat eliminatio depend on adequate water intake each day. It may not sound like much, but being dehydrated causes a 2% decrease in calorie-burning metabolism. If ensuring healthy proper bodily functions hasn’t convinced you to drink enough water each day, let me appeal to your vanity. Do you know what fruit a raisin used to be before it lost all its water? You’re correct if your answer was a grape. The raisin looks all shriveled up and wrinkled, compared to the fresh, vibrant and healthy-looking grape. Now, have a long hard look in the mirror and tell yourself whether your skin looks more like the vibrant, lively grape, or the dried up old raisin. Before wrinkles set it, your skin relies on water to flush toxins and inflammation, reducing redness and related blemishes. Water helps new cells grow to replace old dead cells that can make your skin appear old and gray. If wrinkles develop, water minimizes their appearance and slows their progression into larger, deeper wrinkles. Water literally plumps up your skin and fills in the cracks. Adequate daily water intake also works from the inside out to boost the effects of your external skincare efforts, from daily cleansing and moisturizing to exfoliation and nourishing facials. So how much water is enough? Recommendations may vary, but mine are as follows. For every 50 pounds of body weight, drink one litre of water daily. Someone weighing 150 pounds would drink three litres. If you exercise, add half a litre, or more if you are more active or more sweaty than most. For any caffeinated or alcoholic beverages, add the same amount of plain water to compensate for the diuretic effect caused by the caffeine. So your grande from Starbucks is another half litre down the hatch. Will you be making more trips to the restroom? Yes. Your output should be almost clear, or about the colour of a light white wine. If you take a B-vitamin complex or multivitamin supplement, the Vitamin B2 will make your output bright yellow. Moreso, this is a sign that you did in fact absorb the vitamin, processed it and eliminated it, not just pass it through, but I’ll talk more about that in a future article. Do juices count towards your daily total? Opinions vary, but I say sure, if it’s 100% juice with nothing added. What doesn’t count? Soda, energy drinks, and most bottled drinks have added sugar that can negate any positive effects of the water intake on your body’s health. This is a no-no category. Do you want an inexpensive way to improve your health, have more energy and better, younger looking skin? Then grab yourself a glass and start drinking yourself more beautiful! Fab Find is really a find! Botox, Laser Hair Removal…what’s next? After almost 16 years in business and thousands of dollars wasted on the trials and ‘errors’ of different marketing and advertising plans I believe I have finally found my hole in one. I mean really, why do we advertise? To bring in new business of course. If I had a dime for every call I take from someone trying to sell me the sure-fire way to draw new business into my clinic, I think Id be able to shop more. I used to take each call and listen with bated breath…and then slowly I became cynical, testy and even argumentative at times. Take my recent 2 year trials with SEO. 4 different companies, 2 law suits….thousands upon thousands of dollars and yet I am still no more clear on the outcome. I can’t touch it, I can’t talk to it…but it cost me a fortune. Sometimes I think these marketers play on the fact that we won’t know it doesn’t work until it doesn’t. Great plan….not so much. Fab find is a whole different species of marketing initiatives that seem to be taking over my in-box. But instead of deleting them I actually look forward to seeing what will be the big deal of the day!! A lot of the times they really are of no interest..but when they are good they are fabulous. Great deals at wonderful restaurants, yoga classes, massage and spa services…and if your following today; great deals on Botox . So why is this method the stuff? Because we actually get to talk to the clients. They buy, we meet them, we service them. If we are as good as we say (and we are) then they become part of our growing culture. Never before have I ever had the opportunity to measure the success of any one marketing initiative this effectively. I guess I’m sort of passing on a trade secret here, but I feel obligated. Too many people make the same mistakes I have over and over again. We are forced to trust what we are told for no other reason than we need an answer. So a holler out to entrepreneurs everywhere…try a fab find. It really is FABULOUS!!!! 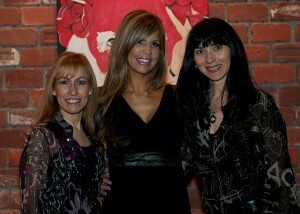 What an amazing event!! To say the least it was the highest attended event we have ever seen. It was a wonderful way to introduce our new Cosmetic Doctor. Poor guy, I don’t think he had any idea what he was getting in to. We booked him without much room for a break. But what can you do?? The customer must come first. The doctor did a spectacular job, and clearly was the right decision for the clinic. We had fabulous snacks and amazing gift bags for everyone. There is very few things I like more than helping people feel as good about themselves as they can. With this event we were able to do that and help make the financial side easier too. Many of you have already asked, “when will we be doing this again?” It’s hard to say at the moment, but I will definitely keep you posted. In the mean time we have some fabulous promotions being launched tomorrow for the month of December. Beauty is a great gift to give, so hopefully our promotions will make it an easy gift to give as well. Thanks again for the amazing response to our Injectable Anti-aging Beauty Event. Stay tuned for more dates to come in the future.